This single lever faucet from BLANCO features clean lines for an exceptionally modern feel. The RITA is European made to superior quality and functionality. Fluid, simple lines best describe the Alta series from Blanco. Its discrete presence is ideal for contemporary or modern kitchens. Features a single lever, pull-out with dual spray patterns. The BLANCO ALTA collection has a sleek, low-profile design, perfect for contemporary and modern kitchens. This collection features a main kitchen faucet plus a matching bar/prep faucet and comes in a wide range of finish options. BLANCO faucets are designed to perfectly match BLANCO SILGRANIT. and Stainless Steel sinks. 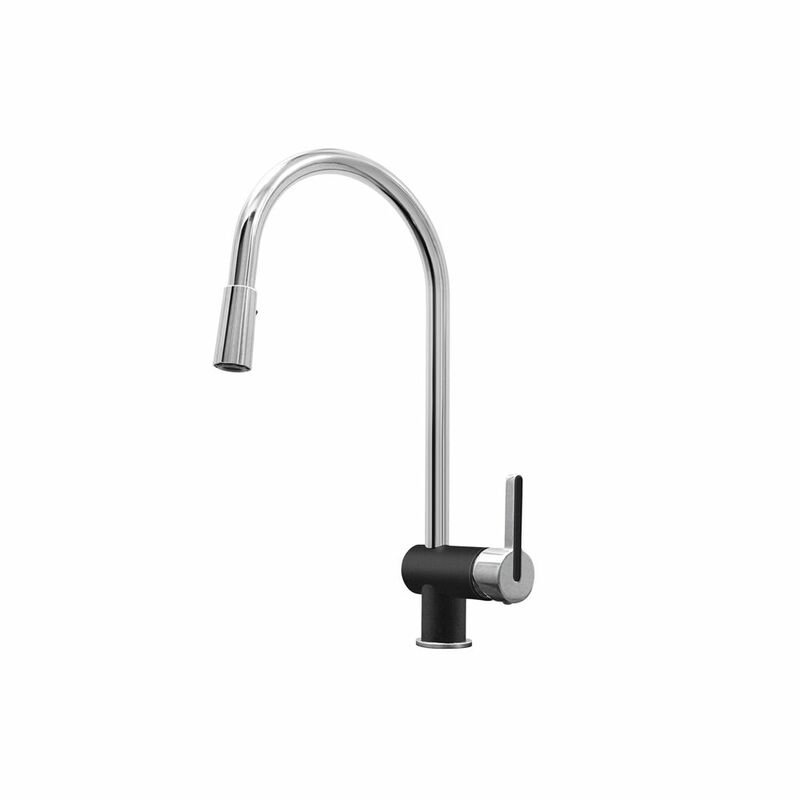 The BLANCO CATRIS is a part of the semi-pro kitchen faucet category and offers a fresh and modern interpretation of the classic semi-pro look. The CATRIS features a flexible spring hose, dual spray function and a patented aerator that reduces lime scale for added cleaning convenience. As water consumption is very important, the CATRIS is designed to deliver excellent water performance with a reduced flow rate of 1.5 gpm. BLANCO faucets are designed to perfectly match BLANCO SILGRANIT and Stainless Steel sinks. Rita, Pull Out, Dual Spray Faucet, Chrome/Anthracite This single lever faucet from BLANCO features clean lines for an exceptionally modern feel. The RITA is European made to superior quality and functionality.